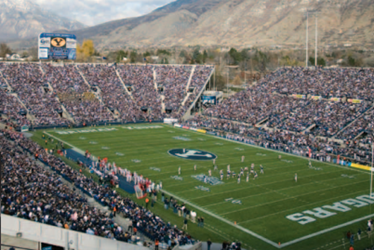 As Brigham Young University finished over $1 million worth of renovation to their football field, they needed a way to secure it at all hours of the day, especially after dark. Visible light cameras were an imperfect solution. Conventional CCTV cameras need an outside source of illumination if they are going to create an image after dark, and this typically limits effectiveness to a few hundred feet. During the process of finding which security technology to use, they temporarily installed a thermal security camera from FLIR Systems on a tripod in the stadium press box. This helped them resolve three trespasses within the first week alone. Download the full case study to learn more about how Brigham Young University benefitted from installing FLIR’s thermal security cameras into their security systems.